The undergraduates in my Introduction to Education course at MIT are conducting observations and writing blog posts about their experiences. I'm reposting here a post from Jennifer Liu, who has some insightful observations about a Google SketchUp project in the engineering course she is observing. Ms. O is generally hands-off when it comes to hands-on projects in her engineering class. For the first few weeks that I visited her classroom, her students worked on "reverse engineering" projects in which they selected everyday objects from their lives, created digital 3D models of them using the SketchUp software, and wrote up specs for them. Open-ended learning - Students could choose whatever objects they wanted, as long as no two chosen objects were the same (in order to prevent copying). There were no other boundaries. This gave students the freedom to model something of interest or importance to them, as well as the opportunity to weigh different options for close investigation. Technological exploration - Students were given little guidance on how to use the SketchUp software, provided with the opportunity to "learn the landscape" by figuring it out on their own. This aspect enhanced the open-ended learning experience--without step-by-step instructions for how to use the software and what to create, students were free to play around with different features and experiment in what could be considered a "playground for learning." 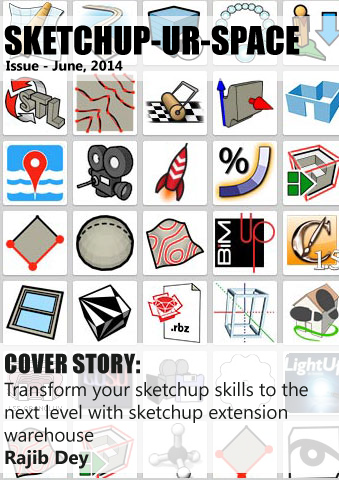 According to Ms. O, students were already familiar with core features of SketchUp after a few days of working on their projects--clicking, dragging, creating, and modifying objects like experts. This was apparent when I visited--most students were efficiently working away independently on their computers. If they struggled to replicate a certain feature at any point, they would consult the documentation, then seek help from the teacher or nearby peers. Being comfortable with using computers and figuring out how to perform certain tasks on them is a critical skill in our modern age of technology. Observational/dimensional analysis - Required to reproduce objects through another medium, students were forced to observe and measure their objects more closely than they would otherwise, from all different angles, inside and out. Mathematical intuition - One time, a student--let's call her Janie--asked me why one circle on her model looked so much bigger than one beside it, even though the radius was only double that of the other. Janie was convinced that she had modeled something incorrectly. I responded by grabbing a pen and pencil and asking her if she remembered the formula for the area of a circle. We derived the areas of her circles based on the radii together to find that the bigger one should in fact be four times the size of the other. This realization on her part was reached through a process of guided discovery and learning-by-doing. Without measuring the circles on her original object and reproducing the object on SketchUp, Janie likely would not have drawn the connection between the radii and size of the circles. Communication of specifications - By going through the process of writing specs, students practiced their communication skills and descriptive abilities. This forced them to pay close attention to detail and convey their findings through words, an important skill for engineers working in teams. Of course, benefits are usually countered by risks. The opportunity to engage in open-ended, independent learning was not embraced by every student at all times. Some with limited attention spans were often caught surfing the web or watching YouTube videos, resulting in a harsh scolding by Ms. O, who seemingly has eyes that cover a 270-degree range (perfect for monitoring the 30-something students sitting in front of computers against the wall on three sides of the room). Some students also required a little extra push to get going, which I noticed was often provided by nearby classmates who showed them the ropes through their own projects or pointed them to potentially helpful buttons. Once students were tipped on the right track, however, these projects seemed to offer them an enriching, multifaceted learning experience.